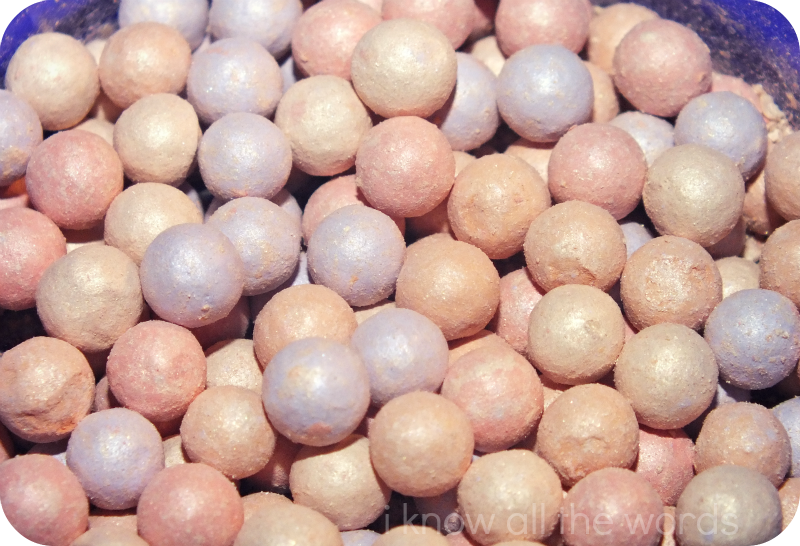 There is something about products made up of little bits (or balls) that has always enamored me. I have yet to splurge on 'that brand' that is famous for their little balls of cosmetic goodness, but I do tend to take the bait when the item is a more wallet friendly price. The latest product to catch my eye happened to Yves Rocher Illuminating Pearls. 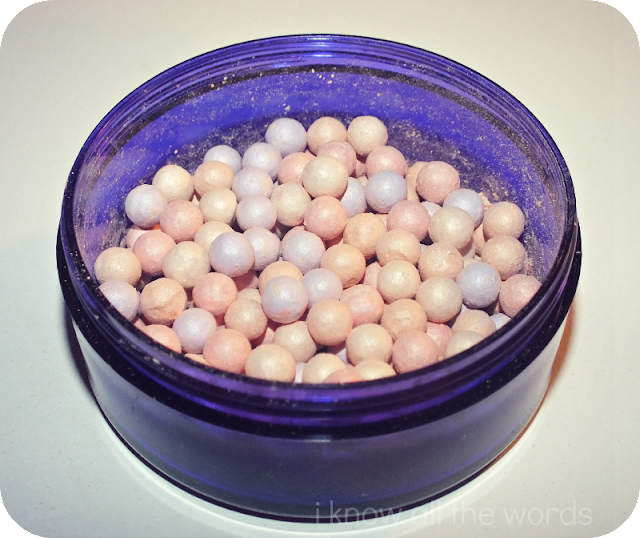 These pearls (a much classier term than 'little balls') are a setting powder/ highlight hybrid that promise to ease complexion dullness that often lingers in the winter months. When I ordered these, I wasn't quite sure what to expect: would they be iridescent enough to use as a powder, or would they be so illuminating that they would only work as highlight? While I do love a good highlight, I was hoping for something I could use all over. Happily, I got exactly what I wanted. 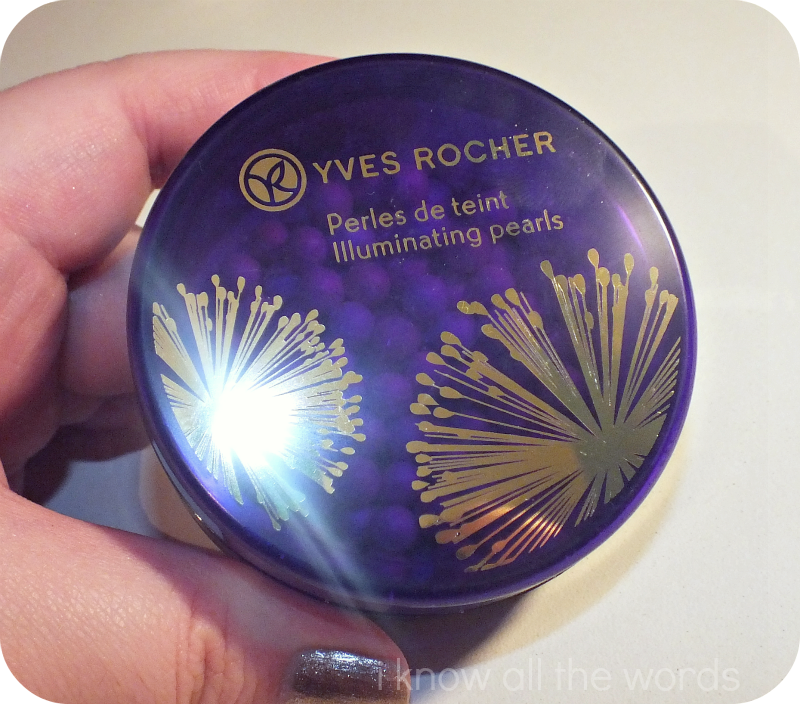 When you swirl your brush through the pearls, and dust it on, you don't immediately see anything, but upon further inspection, I can see that the pearls truly are transparent, but leave a super soft glow. 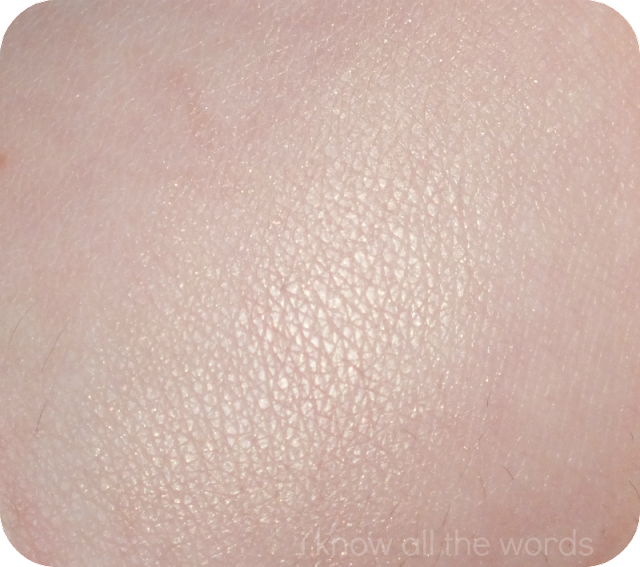 It doesn't read as a shimmer, but more like I have naturally healthy, glowing skin. In the swatch above, I really loaded on the dust from the bottom of the pot, and even that doesn't read as overly shimmery. I really love these little pearls! 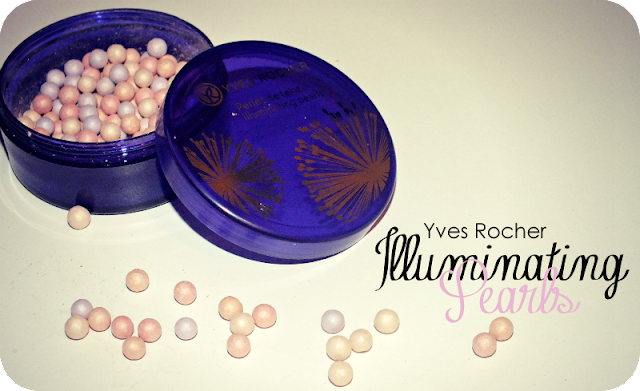 They're universally flattering and such an easy way to give your complexion a bit of a pick me up and they have a light floral scent, that is really soft, a hint of violet almost? I'm not certain, but I really like it, and I'm not exactly a fan of scented items for my face. Have you tried these? 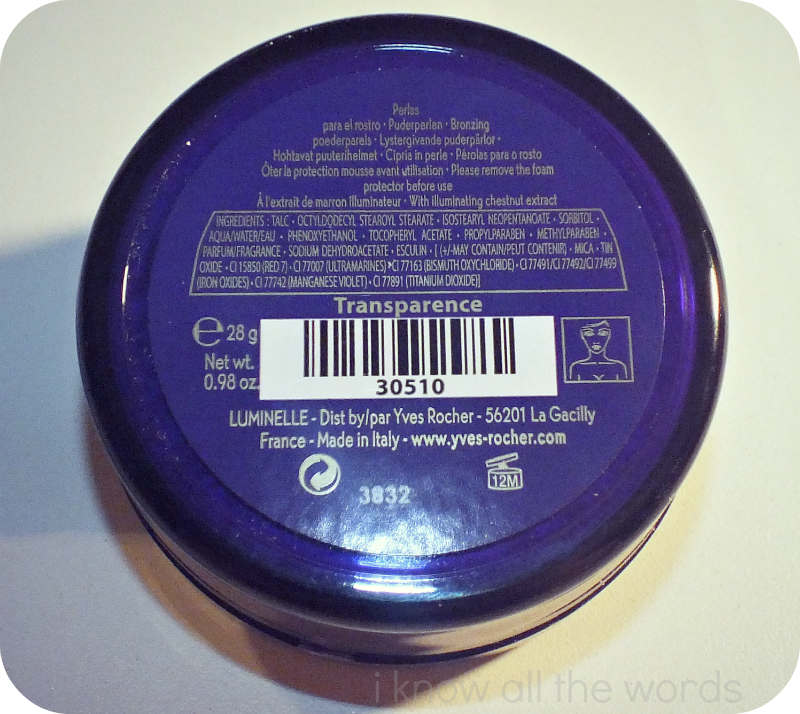 Do you have any 'little ball' (you know what I mean) products you love?